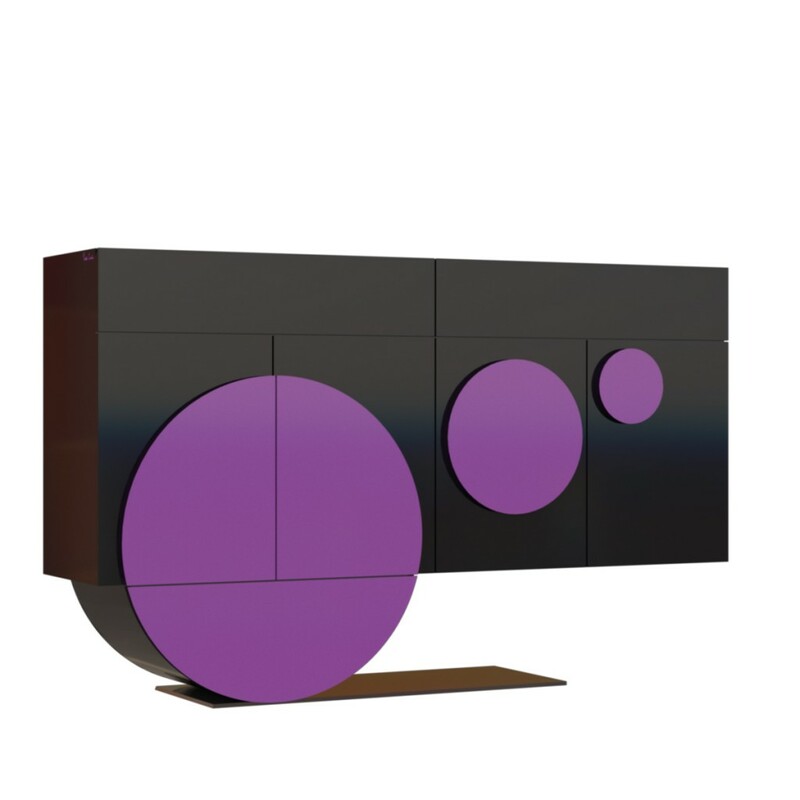 This console is part of the Pierre Cardin line that features shapes characteristic of the designer’s haute couture and prêtà-porter collections. In this piece, the circle is not only a decorative element, but also a structural one. The objective is to create a feeling of lightness and freshness, but also a sense of composure through the use of a series of simple, basic and brightly coloured elements on a black or dark structure. In the case of the console, the odd, seemingly unbalanced structure enhances the feeling of lightness. The console has four doors and two roomy upper drawers. The colour of the interior LED lighting can be changed as desired with a remote control. See the full Consolle series gallery.